Washington – First, the $700 billion rescue for the economy was about buying devalued mortgage-backed securities from tottering banks to unclog frozen credit markets. Then it was about using $250 billion of it to buy stakes in banks. The idea was that banks would use the money to start making loans again. But reports surfaced that bankers might instead use the money to buy other banks, pay dividends, give employees a raise and executives a bonus, or just sit on it. Insurance companies now want a piece; maybe automakers, too, even though Congress has approved $25 billion in low-interest loans for them. The New York Times | Loans? Did We Say We’d Do Loans? Three weeks after becoming law, and with the first dollar of the $700 billion yet to go out, officials are just beginning to talk about helping a few strapped homeowners keep the foreclosure wolf from the door. As the crisis worsens, the government’s reaction keeps changing. Lawmakers in both parties are starting to gripe that the bailout is turning out to be far different from what the Bush administration sold to Congress. In buying equity stakes in banks, the Treasury has “deviated significantly from its original course,” says Alabama Sen. Richard Shelby, the top Republican on the Senate Banking, Housing and Urban Affairs Committee. “We need to examine closely the reason for this change,” said Shelby, who opposed the bailout. The centerpiece of the Emergency Economic Stabilization Act is the “troubled asset relief program,” or TARP for short. Critics note that tarps are used to cover things up. The money was to be devoted to buying “toxic” mortgage-backed securities whose value has fallen in lockstep with home prices. 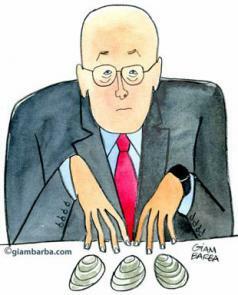 But once European governments said they were going into the banking business, Treasury Secretary Henry Paulson followed suit and diverted $250 billion to buy stock in healthy banks to spur lending. Sure enough, a day after Dodd, D-Conn., made the comment, the government confirmed that PNC Financial Services Group Inc. was approved to receive $7.7 billion in return for company stock. At the same time, PNC said it was acquiring National City Corp. for $5.58 billion. Other planned uses of the bailout money have lawmakers protesting, although it is only fair to note there is nothing in the law that they just wrote to prevent those uses. Sen. Charles Schumer, D-N.Y. questioned allowing banks that accept bailout bucks to continue paying dividends on their common stock. “There are far better uses of taxpayer dollars than continuing dividend payments to shareholders,” he said. Schumer, whose constituents include Wall Street bankers, said he also fears that they might stuff the money “under the proverbial mattress” rather than make loans. Neel Kashkari, head of the Treasury’s financial stability program, told Dodd’s committee this past week that there are few strings attached to the capital-infusion program because too many rules would discourage financial institutions from participating. As the bank plan has become a priority, the effort to buy troubled assets has receded from the headlines. Potential conflicts of interest pose all kinds of problems in finding qualified companies to manage that program. “Firms with the relevant financial expertise may also hold assets that become eligible for sale into the TARP or represent clients who hold troubled assets,” Kashkari said. The challenge was made plain when the Treasury hired the Bank of New York Mellon Corp. as “custodian” of the troubled assets purchase program. The bank will conduct “reverse auctions” to buy the toxic securities on behalf of the Treasury. The lower the price they set, the better chance sellers have of getting rid of the devalued securities. On the same day it hired Mellon, the Treasury also picked the company to receive a $3 billion investment as part of the capital-infusion program. The same bank hired to help manage part of the economic rescue plan became a beneficiary of it. With the Nov. 4 election nearing, lawmakers decided it was important to remind the government officials running the bailout program about parts of the law aimed at helping distressed homeowners by offering federal guarantees to mortgages renegotiated down to lower monthly payments. ~ by Eric Harrington on October 29, 2008.